When your child first starts babbling you long for the day that they will reach their little chubby arms up to you and say “Mama”. And then they turn 2. Now all I hear is “MAMA?! MAMA! ?” over and over again. If I don’t answer fast enough the high pitched voice gets more intense and crazed. You long for a hot bath and a piece of chocolate cake where nobody is touching you, drooling on you, or whining for more food (even though they just ate 3 waffles, a banana and a yogurt for breakfast). And then you go and read Ephesians 4:1-3 and see that you are called to be humble, gentle, patient, and you must bear with one another in love. Oh and you must try and keep the peace. This has to be one of the hardest commands to keep as a mom. It doesn’t matter if you stay at home all day with your kids or come home from work and have to quickly switch over from work mode to home mode, because there will always be times when your kids are driving you nuts. There are days when my prayer life goes like this, “Dear God, please let the children nap, and allow a chocolate bar to show up at my house. Amen”. So the next time you catch your little darling coloring on their sibling with marker, or spilling the entire carton of milk on the floor remember to stop and pray. Father, I am weak and weary at this moment. I need Your strength to keep my cool and to increase my patience with the ones you have gifted me with. Remind me when my name is screamed for the one hundredth time in the last 5 minutes that I should count it as a blessing to be called Mama. Amen. Take a moment to collect your thoughts, to thank God for your kids. 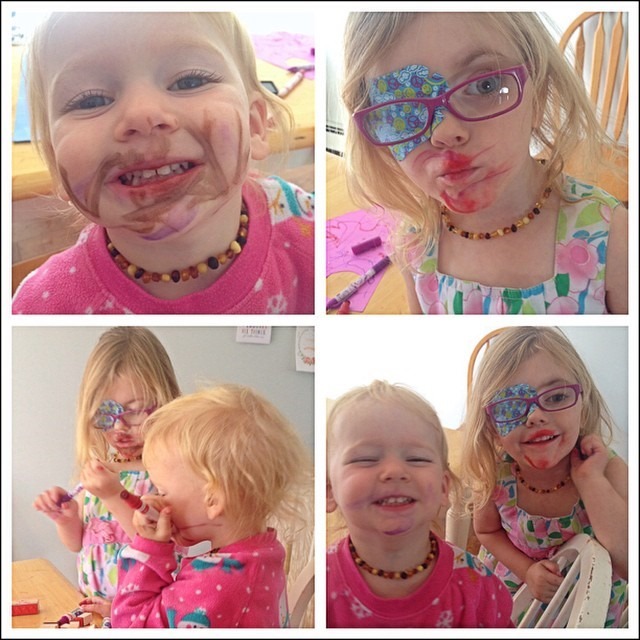 Stuff is replaceable and marker will wash off of most things and people, but your kids will only be little once. So stop and hug them and hold them close when you feel like you might lose it and just breathe.